UPDATED | Troubled news channel Arise News has crashed off air on Freeview in the latest problem to hit the channel in recent months. The channel, which is owned by Nigerian publisher Nduka Obaigbena, has been dogged by a history of problems, often down to the non-payment of staff. Nigerian media reports ongoing payment problems, and hefty debts mounted by Mr Obaigbena. Journalists were reportedly not paid, despite working in dangerous areas such as Gaza. In July, the channel was kicked out of studios in London's Great Portland Street following non-payment of rent, leading to several days of reduced service and repeats. A skeleton service soon resumed from its original headquarters at New Zealand House. At the same time, its US-based shows, including Arise America and Arise Entertainment 360 vanished from the schedules. 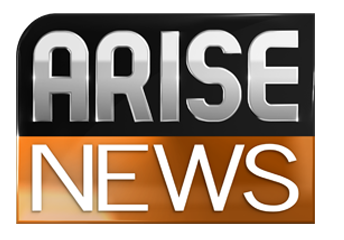 Arise News appears on Sky channel 519 and Freeview (in some areas) on channel 136, using a Freeview HD, Freeview Play or YouView branded receiver. The owner of Arise News reportedly fails to pay his staff on time. He’s the owner of Nigerian newspaper ThisDay; its staff even went on strike in 2013 over the matter. Freelance journalists are being warned about working for Arise News. So how bad is the non-payment reputation of Nduka Obaigbena? His newspaper ThisDay hold annual awards in Nigeria. In 2013 it gave prizes to 15 teachers. They were handed cheques with their prize money by former US President Bill Clinton. The cheques bounced, leaving the prize winners penniless, according to Nigerian website The Eagle. Meanwhile, Nigerian media reports that he’s now under investigation by Nigeria’s Economic and Financial Crimes Committee over allegations of money laundering.